Plain cream Bibble with navy stitching and cream fleece. Plain navy Bibble with red stitching and navy fleece. 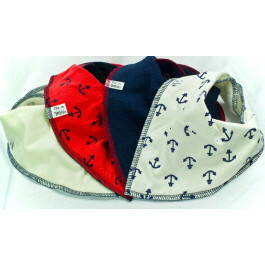 Navy anchors on cream background with navy stitching and cream fleece. 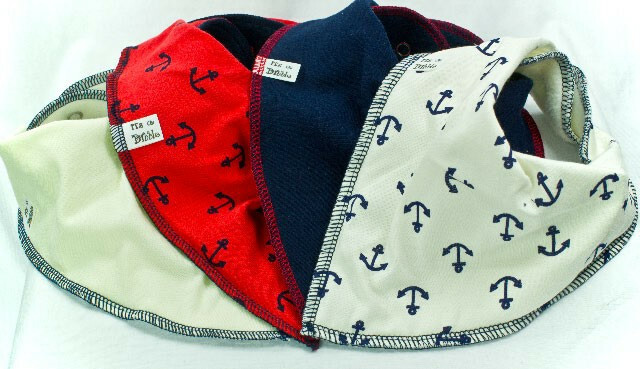 Navy anchors on red background with navy stitching and navy fleece.